The spin-off show you never knew you needed. Dancing with the Stars season 26 ended with an Adam Rippon win. The Olympic skater took home the coveted Mirrorball trophy with the help of partner Jenna Johnson, and this fall, DWTS 2018 returns with Dancing with the Stars: Juniors, a pint-sized spin-off of the popular show. For the first time ever, Dancing with the Stars: Juniors will pair celebrity kids with professional junior ballroom dancers. If So You Think You Can Dance: The Next Generation taught us one thing, it’s that junior dancers are great at what they do. Here’s everything we know so far about Dancing with the Stars: Juniors. [post_ads]The judges for Dancing with the Stars: Juniors were announced Monday morning on Good Morning America. Val Chmerkovskiy, the DWTS pro who proposed to Johnson in June, will be bring his expertise as a judge. Joining him is choreographer Mandy Moore and Johnson’s former partner Rippon (who else?). Rippon was the first openly gay champion of DWTS, and upon winning the all-athletes season this past spring, he told TeamUSA.org, "I think from the Olympics and Dancing with the Stars, I feel so lucky to share my story and share a little bit of who I am with so many people, it’s just awesome." Now, he’ll get to continue sharing this story with DWTS viewers as a member of the judging panel. Here they are America! 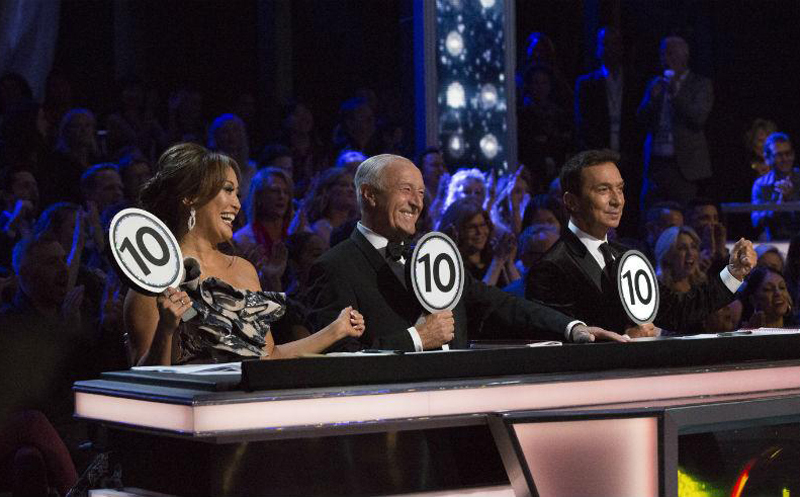 The judges for @DancingABC Juniors REVEALED! Dancing with the Stars: Juniors is reportedly casting kids between the ages of 9 and 13. Two celebrity youngsters already slated to compete on the show are Alana Thompson (AKA "Honey Boo Boo") and Black-ish star Miles Brown. Actress Ariana Greenblatt from Disney Channel’s Stuck in the Middle is rumored to be another contestant. A spokesperson told Metro that the full list of celebrity contestants will be announced in late September. There is no promo for Dancing with the Stars: Juniors yet, but we’ll be updating this page as soon as one comes out. [post_ads]Dancing with the Stars professionals will reportedly mentor these junior pairs in the spin-off. Entertainment Tonight reports that one of these mentors is Witney Carson, who has performed on DWTS for nine seasons so far (she was paired with American luge champion Chris Mazdzer for the all-athletes season). "It's a good change of pace. I think people will like the kid version of [the show]," Carson told ET. Episodes of Dancing with the Stars: Juniors will be pre-taped according to International Business Times, which makes this the first DWTS season that will not air live broadcasts. Season 27 of DWTS is set to return to ABC on September 24. Dancing with the Stars: Juniors will premiere Sunday, October 7. The two-hour episode will start at 8:00 p.m. EST. Get ready — these contestants may be small, but they'll bring precision and passion to the dance floor.